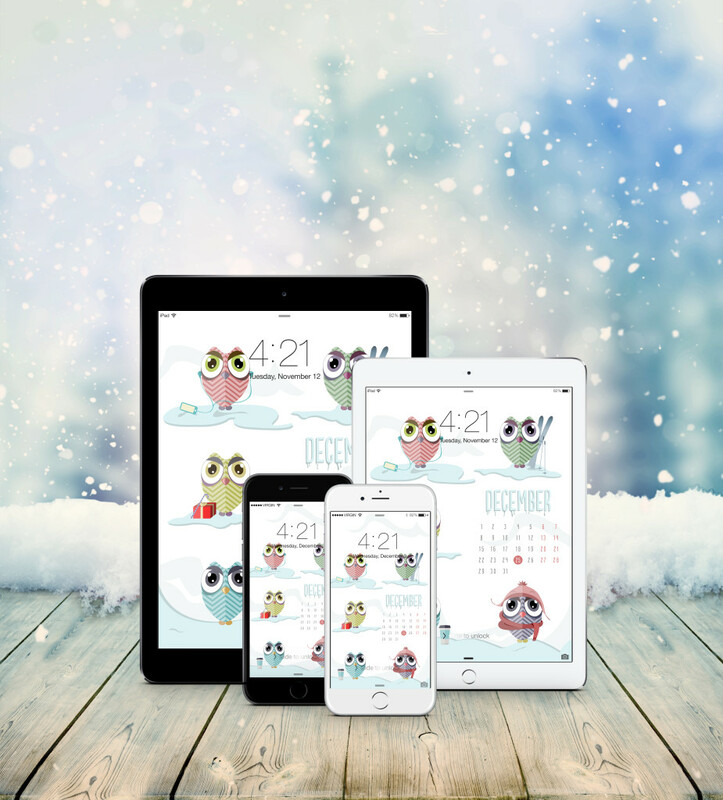 My December wallpaper has been featured in Smashing Magazine! It’s an awesome feeling, because I’ve been following their section for years now and I’m a big fan of what’s going on there. What happens is basically designers send their desktop wallpaper designs in various resolutions, with a theme according to that particular month. Some of them get picked up and displayed every month, along with the designers’ name and link to their website. Anyone can then download the wallpapers for free, with or without calendar. 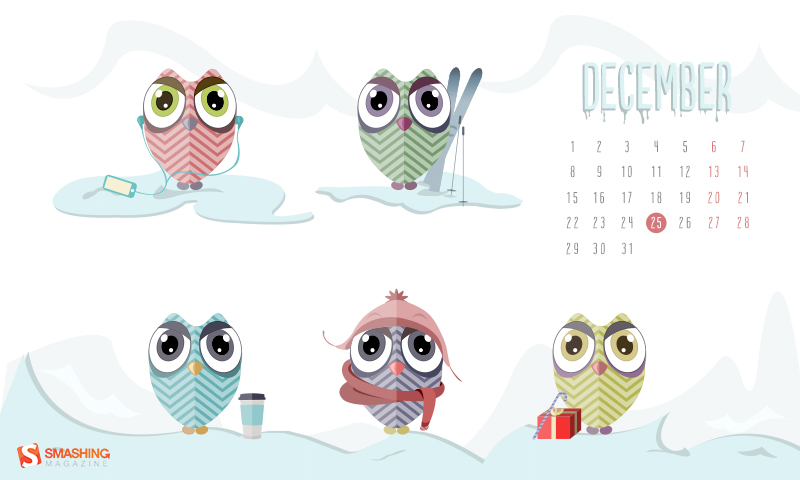 You can find mine right here, it’s called “December Owls” and you can download it in any resolution that fits your desktop (let me know what you think!). P.S. : Here’s a quick preview!